This week school board member Will Pinkston joined the Blogosphere. His blog is called Race to the Bottom. In his initial post, he rehashes the history of the reform movement in Tennessee through his eyes. Word on the street is that this piece was initially shopped to Atlantic magazine, and others and they passed. Perhaps local writers Vesia Hawkins and Jason Egly can give him tips for getting published in the modern era. Sorry, sometime I can’t help myself. Ok, but I have to question, based on recent activity, if Pinkston hasn’t become one of the fools himself. Just look at this week. On Monday and Tuesday News 5’s Phil Williams ran stories about contracts, and as result money, that was mishandled by the director and his team. This morning brought another involving settlement in a sexual harassment case. The stories were very upsetting to a lot of people, for a lot of different reasons. In a very measured Twitter discussion with education advocate Vesia Hawkins, it was revealed that one local supporter of Dr. Joseph admitted there may be some bureaucratic incompetence, some bad judgment, some difficulty with facts, but no corruption. Only Williams knows the identity of that supporter, but to anybody who has ever talked to Pinkston about the director, those words seem awfully familiar. Bad judgment, bureaucratic incompetence, difficulty with facts – I would argue that all are hallmarks of a fool. Yet, Pinkston not only suffers but actively defends. On a quick side note, I would urge you to read the Williams/Hawkins conversation. It’s very thought-provoking and Hawkins makes some solid points. Points that belong in a much larger conversation about the role of race in Nashville. Williams for his part is always respectful and raises his points without diminishing or dismissing hers. Moving on, yesterday the Tennessee Court of Appeals issued a ruling on Nashville’s fight over student data. in 2017, Tennessee lawmakers passed a law that required school districts to hand over student contact information to districts, such as the Achievement School District. Pinkston pushed the MNPS school board to fight this law and refuse to turn over data based on the argument that to do so would go against federal law. Many at that time accused him of hijacking the conversation to pursue his own personal agenda. Yesterday’s ruling upholds one made in Nashville around this time last year. As much as Pinkston argued and postured, two judges have now ruled that his arguments do not stand. But lest you think this folly comes with no cost, make sure you read the final paragraph of the recent ruling. The judgment of the trial court is affirmed, and this matter is remanded with costs of appeal assessed against the appellants, Metropolitan Nashville Board of Public Education, and Dr. Shawn Joseph, Director of Schools, Metropolitan Nashville Public Schools, for which execution may issue if necessary. Say it with me, underfunded school district. Last night Metro Council was slated to take up a resolution filed by At-Large Councilwoman Erica Gilmore that would demand that school board member Jill Speering apologize to the director of schools for what she wrote in a recent private text. You’ll remember that last week Mayor Briley in addressing the Hillsboro Parent Advisory Committee(PAC) speculated that the resolution would probably pass. It didn’t. In fact, the education committee refused to recommend its passage by a vote of 6-0 and its sponsor withdrew it from a vote on the floor with a comment. Based on what actually transpired last night, one has to wonder why the Mayor would feel confident enough in the potential passage of this resolution that he would voice that assumption publicly. Pinkston often brags to friends that he has the ear of the mayor and talks to him on a daily basis. I’ll let you connect the dots and decide for yourself the role he played. But anyhow you slice it, in retrospect, those words Briley spoke last week make him look at the least out of touch and perhaps…foolish? When making her motion, Gilmore said she did not bring the resolution forward to suggest that Speering is racist but to send a message against her mask suggestion.When we discuss leadership in this city, educational leadership is the fabric of Nashville. The educators influence dialogue and attitudes. I want to make sure our leaders are cognizant of their actions,” Gilmore said. “I personally don’t believe it had anything to do with race in her mind. I’m sure she did not recognize or was sensitive to the history you and I are sensitive to,” he said, addressing Gilmore. Kindall said while he is not looking to excuse Speering’s actions, he believes she made her decision based on the fear teachers have of losing their jobs when protesting. My question would be, where were these comments over the past 2 weeks? Where were these comments when the Tennessean’s David Plaza was writing inflammatory editorials? Actually, that’s what I’d like to see next, a resolution calling for David Plazas to apologize. But that won’t happen. Again the director fails to grasp another opportunity to mend fences. Where was his commentary on the pending resolution? 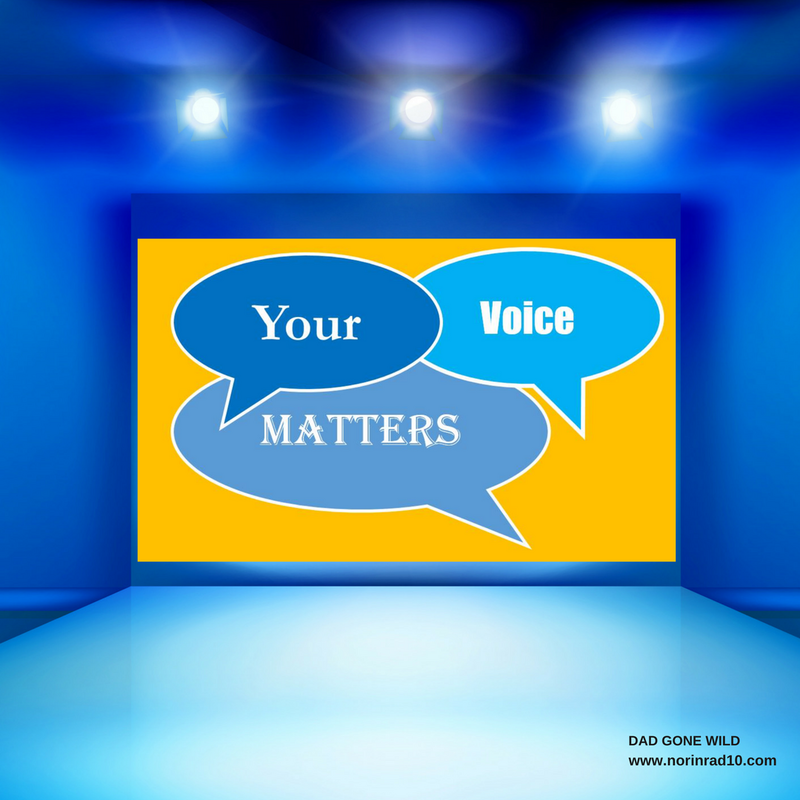 Further lost in the discussion is the acknowledgment that teachers are afraid to speak out. Does anybody ask for further exploration of why that is? Does anybody raise a single question about teachers fears? Nope, instead, Kindall goes on to state that he believes Shawn Joseph is “doing a good job and will continue to do a good job if allowed to”. One has to wonder just how we define a good job when it comes to MNPS. So now back to the Pinkston Blog Post. I was deeply involved in the reform battles of the last decade. Have the scars to prove it. That said, I’ve also got friendships that developed out of that period of time. When it comes to education policy I don’t agree with these friends on much, but man I treasure their friendship. Yes, I believe that their supports have done real damage to the public education system, but I’m sure they’ll make the same argument when it comes to mine. The point is that I’ve come to see them as people, not super villains or “bad actors”. I’d like to believe they’ve done the same with me. When it comes to “bad actors” – who even uses that term outside of a James Cagney film – I find that they make up a minority of the people out here fighting over education policy. Don’t get me wrong, they exist, but most of the people in the trenches are doing it for the right reasons. I suspect the near future is going to bring some more fierce battles making it important to remember that there are real people engaging in these discussions. People deserving of respect. Just because they disagree with me doesn’t earn them the title of “fools”. There are days that I play the role of a fool myself. About those trenches. Pinkston was never actually in them. That shouldn’t come as surprise because many of the people who actually crafted Tennessee’s RTTT application have often privately said that Pinkston over-inflates his input in the application process. It’s not a stretch that the same would hold true in his retelling of the reform battles. When it came to boots on the ground work, Pinkston was never at the meetings in church basements attended by people from across the state. He was never actively involved in the email or phone campaigns that so many dedicated people conducted. 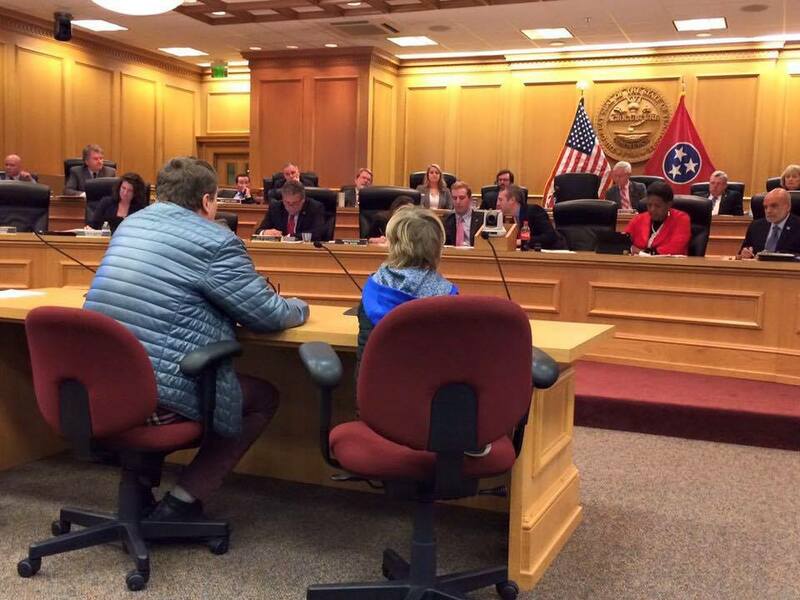 He didn’t show up at the meetings were the ASD decided which Nashville school it was going to take over. He didn’t show up at the legislative hearings and speak to lawmakers. The day the last voucher bill was defeated he was not among those dedicated volunteers in attendance. Amy Frogge and Jill Speering were always in the trenches. Pinkston refers in his blog post to Amy Frogge as “a PTO Mom”. One who doesn’t seem to show up on the scene until 2016. That’s offensive and inaccurate. Frogge is so much more, including a licensed attorney. But of course, Pinkston has never been very respectful toward the ladies, why should now be any different? The mayor’s education advisor Indira Dammu might want to suggest Mayor Briley read Frogge’s interview with Dad Gone Wild from a couple of years ago to get some perspective. JC Bowman is another one of those people who has been active in education issues over the last decade. He is the Executive Director of Professional Educators of Tennessee, a non-partisan teacher association headquartered in Nashville, Tennessee. JC was one those friends I picked up out of our fights. Bowman’s first words to me were, “I think you are a bully.” From there a conversation and a friendship grew. A friendship that other friends make take umbrage with. That’s their right, but know that while I may not agree with everything Bowman subscribes too, I always learn something from him. I’ve also never been real receptive to people telling me who I can befriend. Many blame Bowman for Tennessee’s teachers losing the right to collectively bargain and there is some truth to that, but things are never that simple. Bowman was fighting for equal access for his organization. As a by-product of that fight Tennessee switched to collaborative conferencing when it comes to teacher contracts. Whether Bowman intentionally cost teachers that right or not is subject to debate. I do know that he has been a fierce advocate for teachers since then. I often re-print pieces from professional educators. It’s in that spirit that I share JC’s words with you. Believe them. Don’t believe them. But I urge you to hit the links and read the bill itself. The truth is written in the legislation. The marriage between education practitioner and education policymaker is not easy. It is why I spend a great deal of time with educators nearly every day, and it helps that it is my actual background. While I have certainly been critical of various education policies, and at times some policymakers, it serves us little to go back and criticize previous leaders, or failed policies. However, sometimes we must go back for historical purposes to prove a point. Let’s read the actual Race to the Top document, which really laid the groundwork for changes in the last decade. I’m not sure what Will Pinkston’s plans are for the future. It’s clear to me that this week paints a clear picture of a need for him to self evaluate. Unfortunately, it’s been my experience that those “who don’t suffer fools well” are the same ones who take pride in being “politically incorrect”. The two claims lend themselves to those who believe that their opinions are always without fault. They are claims often used to excuse boorish behavior. Something that Pinkston displays often on social media. Fortunately, I am not privy to Pinkston’s Twitter rants. He blocked me a couple years ago and while I’ve thought about pointing out to him that the federal courts prohibit elected officials from blocking constituents because they disagree with them, I kind of enjoy the silence. Maybe that’s just a case of me not suffering a fool well and I need to work on it. I will say that I’ve yet to see an underfunded school get additional funding because a school board member mocked the new state education superintendent her first week on the job. I suspect all of this is about raising his national image in order to secure future speaking engagements. More Pinkston doing what’s best for Pinkston. Muck things up, create some discord, then walk out the door to his next endeavor leaving others to clean up the mess left behind. Some have given Pinkston credit for apologizing for his role in Race To The Top. I’m not one of those. The apology doesn’t ring sincere, because he shifts the blame to others. He claims it was others who subverted this brilliant policy. No, the policy was a bad policy with little foresight. That’s the truth. Luckily for Pinkston, most of us are still willing, though begrudgingly, to suffer fools. Therefore there is still some hope for redemption. Balls in his court, if he wants to issue a true apology. I have read student papers better written with fewer errors and by student I mean sixth grade ones. That said the use of I, ME, MY was something I chose to use as a drinking game and I am lucky I don’t have alcohol poisoning. 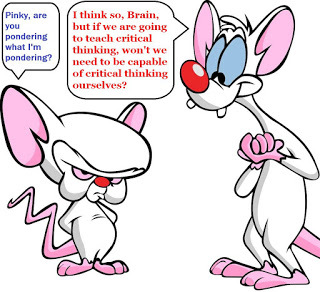 The level of defensive posturing veers on narcissism and denial. Hmm where have we heard that before? Then we have the illustrations which I am unsure what prompted the need to include those but no just no. How did this functionally illiterate ever get a job at a newspaper. Oh wait The Tennessean, never mind. This rant does nothing to disprove the data he provided about how reading and writing skills have been historically low in the state and given he seems to think that it is talking point that he is a graduate of said institutes of learning he does little to dispel that belief. I have seen people desperately try to prove their relevance and in turn sense of import and we have one in the Oval Office and on the heels of that rambling discourse last night I don’t have to look far to see in my backyard. God this is the best and brightest? Houston we have a problem, the First Man is an idiot. Will has really let down his constituents. My neighbors have asked me why he supports Joseph and we really believe it goes beyond race, or believing in him or anything valuable. He supports Joseph only because he got in a twit about Register. So it’s more important that Will is right about replacing Register than the school district is successful! Will looks so foolish because regardless of Will’s support, Joseph has been a failure on all fronts. The recall talk about Fran got us thinking about mounting a recall movement for Will. He only won by 7 votes. There are changes on the horizon. I was one of 5 MNPS teachers at the “mini-retreat” in which School Board members and Dr. Joseph discussed the budget. Not once did Mr. Pinkston acknowledge or greet us. I was the first person to arrive for the meeting. Dr. Joseph greeted us and shook our hands. Ms. Bush, Ms. Gentry, Ms. Frogge greeted us. Mr. Pinkston never once acknowledged us and kept his back turned to us for the entire meeting. He used to be pro-teacher. What happened? I don’t think anything has changed, I don’t think he’s so much anti-teacher as he is pro-Pinkston. Which is what he’s always been. Easy to agree with JC that this piece of prose could have been summed up in the two words ‘buyers remorse’. Not sure his piece nor your ‘reply’ required that much screed. Nothing gained by either. Notably true from the Pinkston piece is that I work in a school on the front line of the fight for the soul of American public schooling. 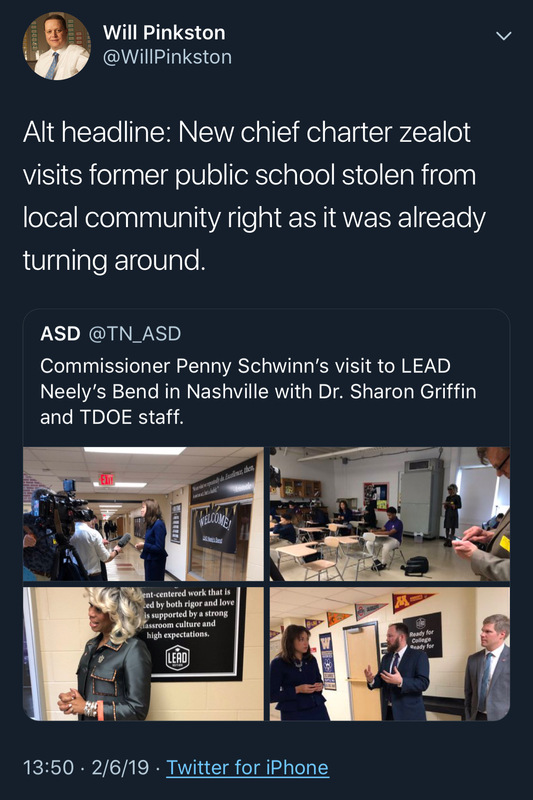 Nashville is indeed one of several ground zeroes and many in our system are at the very front of the fight to determine the viability and future of the thing we call public school. This, I believe, is what Pinkston wishes he could write the righteous history of. For many reasons, all of them unimportant in the end, he cannot. More notable than this one mighty truth buried amid his 15000 words is the absence of any path forward in his piece. No one has an answer right now on this, so that’s no surprise. It’s time for the leadership we deserve on the question of the future of public school as we know it in Nashville. Someone, please take the wheel.